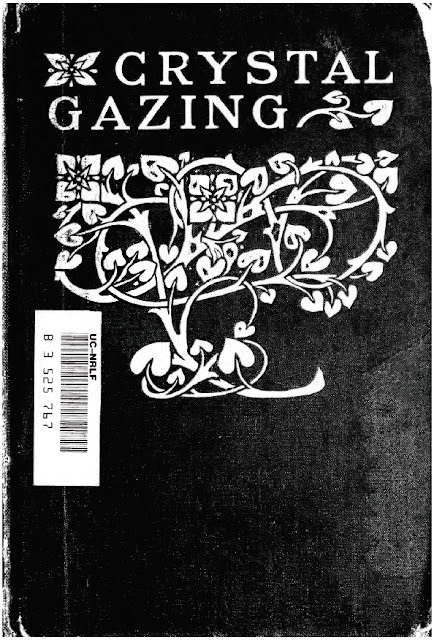 WOW - I have found a truly fascinating book to read at GoogleBooks - it is leading me farther and farther away from Dracula, so I probably won't post any notes from this book here, but I will share the link for anyone else who finds this kind of stuff to be of interest. I'm going to curl up for an hour or so and just read through this book. Andrew Lang: that man had such a wide-ranging set of folklore interests. I would love to sit down and have coffee with him in some supernatural cafe! Crystal Gazing, its History and Practice by Northcote W. Thomas, with an introduction by Andrew Lang. Published in 1905. Online at GoogleBooks.